One of the directors of the California stem cell agency has become embroiled in a flap about billboards in a small Pennsylvania town better known for making Harleys and animal crackers than for scientific research. The director is Jonathan Shestack, a nationally known autism patient advocate and Hollywood film producer (Air Force One). The town is York, home to a motorcycle factory and the Stauffer Biscuit Co.
"If 1 in 150 American children were kidnapped we'd have a national emergency. We do. Autism." "The Autism Self Advocacy Network and several autism bloggers from around the country objected to the billboard, saying the quote equated an autism diagnosis with a lifetime prison sentence. " “Those objectors are often people with high-functioning autism, he said. They ignore half of those with autism like his son, who will never learn to speak and will always need help with basic tasks. The California stem cell agency has posted its opening for the newly created position of vice president, research and development, with a salary range that tops out at $332,000 annually. The person who fills the slot is likely to be the key staff person as CIRM moves more closely to the biotech industry as the agency speeds its drive to produce something that can be used to treat patients. “Oversee the preclinical and clinical development phases of CIRM's programs and projects involving not-for-profit and for-profit teams, including assembling and working closely with CIRM advisory committees to provide oversight of these programs and make go/no go recommendations to the President for continuation of CIRM support. “Works closely with biotechnology, pharmaceutical and investment sectors to enable and enhance the development of clinical applications in CIRM's scientific portfolio. Earlier, CIRM President Alan Trounson indicated he was looking for someone with considerable commercial experience, especially related to clinical trials. Interested parties might also examine the transcript of the CIRM directors meeting Aug. 6, during which Trounson discussed the position. The board of the California stem cell agency has endorsed a public option as part of the national health care insurance reform effort, a move that a backer said would help with affordable access to any stem cell therapies developed with taxpayer funds. "It's a way to keep private insurance companies honest and is essential to holding down costs in insurance." SAN FRANCISCO – The $3 billion California stem cell agency says a headline carried last week by the California Stem Cell Report is “damagingly misleading” and would like a correction. We disagree and will tell you why. But the matter goes beyond a mere eight words. It deals with trust, good faith and more. The subject involves a proposed – but now retracted – major change in CIRM intellectual property regulations. The revision was quietly fast-tracked for what would have been final approval last Thursday by the CIRM board at its two-day meeting here. Fortunately, the loophole was caught the day before the meeting by John M. Simpson, stem cell project director of Consumer Watchdog of Santa Monica, Ca. He wrote a letter challenging the revision. We published an item on his comments along with the text of his letter. As a result, the proposal was pulled back. Simpson has been deeply involved in the CIRM proceedings that hammered out the IP rules and their provisions for affordable access. The process took place over several years, and CIRM directors have repeatedly reaffirmed their commitment to affordable access to any taxpayer-financed therapies. Affordability is also part of the promise of Prop. 71, the ballot initiative that created CIRM. Simpson has publicly praised the CIRM IP process for its openness and diligence and has expressed great respect for IP Task Force Chairman Ed Penhoet. On Wednesday, the day after Simpson discovered the loophole, Chairman Robert Klein called Simpson to tell him that the offending provision was being dropped. Klein also mentioned it to us at the meeting here later that day. But loophole did not come before the full board until late in the meeting the next day. No one at the session disputed Simpson's conclusion that the change in wording was a “tremendous loophole” that would endanger affordable access and also could prove to be a major benefit to the biotech industry. Rather CIRM's question concerning our headline involves the intent of changing previously agreed upon language. The matter also involves whether CIRM was honoring its principles by advancing the proposed change in a manner that appeared surreptitious, at the least. The revision was buried in 491 lines of prolix regulatory language that was described on the board's agenda as merely a “consolidation” of previous regulations. The loophole – which involved only a few words – was also proposed at a time when CIRM is aggressively moving to embrace the biotech industry. According to its strategic plan, it will take a leading role – at taxpayer expense – to lobby nationally to remove barriers facing the industry. All with the good intent, we should add, of speeding cures. CIRM directors then formally acted to remove the offending language, which will go out for a 15-day public comment period before becoming official. Shortly after Baum offered her comments, Don Gibbons, chief communications officer, sent me the following email about the headline in question. The CIRM board, which is the ultimate authority at the stem cell agency, is to be commended for removing the loophole. But how and why the language was inserted is a matter in dispute. Gibbons is paid $190,00 a year to polish CIRM's image. We understand why he does not care for our wording. However, both Simpson and I have been given to understand that the loophole did not result from merely a lack of legal felicity. Who Will be the Lucky Eight? SAN FRANCISCO -- The board of the California stem cell agency today approved a $44 million recruitment effort to lure a handful of “paradigm-shifting” scientists to the Golden State. The program, which will kick in early next year, was adopted on an 18-2 vote. It was supported overwhelmingly by CIRM directors from institutions that are likely to benefit from the plan, which will provide packages perhaps as large as $4.5 million for possibly eight stellar scientists. No legal conflicts of interest prevented medical school deans and others from voting on a “concept” proposal that could benefit their universities, research institutions or medical centers, according to CIRM lawyers. The proposal was modified slightly from the initial plan to remove a limit of four awards per year. Also removed was wording that would have prevented awards to scientists who are more than 10 years past their postdoctoral positions. The recruitment effort is also aimed at helping the University of California and other institutions facing financial hardships. The heart of the two-year proposal -- the cash -- did not generate significant opposition. Questions were raised, however, about the procedures, such as using a telephonic instead of a physical meeting of a special grants review group to act on nominations for the grants. Earlier we reported that stem cell scuttlebutt has it that Kevin Eggan and Amy Wagers, both of Harvard, are possible targets of the recruitment effort. SAN FRANCISCO -- The California stem cell agency today ratified decisions by its scientific reviewers to approve $16 million for basic biology research, trimming the program back from its original proposed $30 million. Directors were told that scientific reviewers did not think additional funding was justified, based on the quality of the applications. CIRM has posted a news release with the names of the 12 recipients. The grants all went to institutions that have representatives on the board of directors. However, none of the directors could vote specifically on the grants to their institutions. For those you who haven't seen the latest news on Geron, their latest hiccup -- if that is what it is -- demonstrates the arduous and tedious nature of bringing new stem cell therapies into the market. Geron's plan to run a modest clinical trial on its spinal cord injury therapy has been suspended – before one person could be enrolled – as the result of FDA action. If it ever gets underway, it would be the first human trial using embryonic stem cells. The company, which is based in Menlo Park, Ca., gave no reasons nor did the FDA, but one analyst cited possible safety concerns. Geron has been in existence since 1990. It has never made a profit. It has no commercial products. And it has spent more than $150 million developing its spinal cord therapy, according to Steve Johnson of the San Jose Mercury News. SAN FRANCISCO – A move that would have undercut efforts to provide affordable access to stem cell therapies financed by California taxpayers has been thwarted. The effort was dropped after John M. Simpson, stem cell project director for Consumer Watchdog of Santa Monica, Ca., brought it to light. Simpson reported on his organization's blog tonight that CIRM Chairman Robert Klein telephoned him to say that regulatory language proposed by CIRM that would have created a “tremendous loophole” for biotech companies has been scrubbed. Klein confirmed that action to the California Stem Cell Report at its meeting here tonight. Simpson and his organization are to be commended for bringing the move to public attention. The Chinese calendar calls this the year of the ox. At the California stem cell agency, however, this is the year of cozier relationships with the biotech industry. At a two-day San Francisco meeting that begins tomorrow, the $3 billion state enterprise will re-examine its strategic plan with an eye to strengthening its ties to industry. CIRM's intent is to push taxpayer-financed stem cell therapies into the marketplace and actually treat people – but not necessarily right away. That probably won't happen for 10 to 14 years, according to its plan. Science and regulators are slow. The plan (here and here) covers a lot of ground, ranging from CIRM's goal of a creating a “stem cell culture” in California to beefing up the management of its burgeoning portfolio of grants, which is expected to hit $1 billion this year. Nothing is wrong with this, in principle. In fact, we think CIRM early on was not aggressive enough in engaging business. Only tiny numbers of industry representatives have appeared at CIRM meetings. Few companies have been successful in winning CIRM grants. And rejected business applicants have complained bitterly about the process. Business must be firmly engaged with CIRM in order to develop therapies. But the marriage of business and government is fraught with peril. The best of intentions can go awry. They seemed to have done so with proposed creation this week of “a tremendous loophole” in the agency's earlier regulations to ensure affordable access to taxpayer-financed therapies. “The strategic plan envisions greater ties with the business community without providing enough specifics of how it all will work. Implicit in the plan seems to be the idea that if businesses are not taking CIRM's money it is a failure on CIRM's part and CIRM needs to loosen its rules. “This loses sight of the fact that CIRM plays a regulatory role. In fact, if businesses want taxpayer dollars, businesses need to abide by CIRM's well-crafted regulations. As part of the plan, another observer says that it would be useful for CIRM to survey activity in California's private sector concerning stem cell research. And, he said, more details are needed on CIRM's role in clinical trials and just exactly how it will help industry in connection with the FDA. Earlier this year, CIRM's apparent move away from basic research triggered concerns among some scientists. They argued that it is too early to push most research into clinical trials. For example, the agency this year will approve a $210 million disease team grant round, its largest ever single research grant round. CIRM's plan reaffirms a commitment to basic science, but whether that allays fears of critics remains to be seen. In neither of those two examples does CIRM specifically say the information will be shared outside the CIRM community or with the public. That may be an oversight, but it would useful to have some assurance that the information will be publicly accessible. The latest revision to the strategic plan also presents scientifically justified movement away from its original charter – funding work related almost entirely to hESC research. In fact, the word “embryonic” only appears 20 times in the plan's 37 pages. That may be disappointing to some patient advocates, who may also not be pleased with the 10 to 14 year timetable for therapies. “That makes about as much sense as if NASA said it planned to encourage a rocket science culture in the United States. The California stem cell agency is proposing a “tremendous loophole” that will allow biotech companies to escape requirements to ensure affordable access to stem cell therapies generated by taxpayer dollars, the Consumer Watchdog group said today. The group also complained that the regulations are being rushed through a meeting this week of the CIRM board in San Francisco. The comments were filed by John M. Simpson, stem cell project director of the Santa Monica, Ca., group, who has been deeply involved in the development of CIRM IP regulations. The changes, however, caught him by surprise. Simpson asked that the proposed changes be referred back to the CIRM IP Task Force before they are acted on by the full board. We have asked CIRM if it has any comments on Simpson's letter. We will carry the full text of the agency's comments if it responds. Here is the full text of the letter by John M. Simpson, stem cell project director for Consumer Watchdog of Santa Monica, Ca., concerning the loophole proposed in CIRM IP regulations. His letter was filed today as part of the official regulatory process. Exclusive Licensee. Any individual or entity receiving by license directly from a Grantee, Grantee Personnel, or Collaborator all rights to make, use, sell, offer for sale and/or import in one or more fields of use or territories a CIRM-Funded Technology or a CIRM-Funded Invention. Exclusive Licensee. Any individual or entity receiving all rights to make, use, sell, offer for sale and/or import in one or more fields of use or territories a CIRM-Funded Technology or a CIRM-Funded Invention, whether by assignment, license, or other mechanism. This proposed new definition creates a tremendous loophole that potentially allows companies to escape the IP regulation’s access requirements for products developed with CIRM funds. This was never the intent of the IP task force during its thorough, deliberative process in developing the IP regulations. I cannot understand why this language has been proposed. Could you please provide me with the written record of the public comments made on Round Two of the proposed regulations that prompted this change, which subverts the original intent of the IP regulations? For the record, I note that the public comment period on these regulations closes at 5 pm Aug. 18, the day before the August ICOC meeting where they are already on the agenda for consideration. I am hard pressed to understand how such scheduling provides adequate time for staff to analyze any comments and provide meaningful commentary so that the board can consider the proposed regulations in a thoughtful way. I urge you to refer these proposed regulations to the IP Task Force for discussion and thorough consideration before they come before the full ICOC. The Task Force has not met since November of 2008. Most of us who have been deeply involved in the here-to-fore exemplary public process that developed the IP regulations were under the impression that the consolidation effort was largely a technical exercise. The California stem cell agency's proposed $44 million recruitment plan seems certain to draw some of the shining lights of the stem cell world to the Golden State, but it also opens a door on the high stakes bidding for research stars. The proposal additionally shines a light on the built-in conflicts of interest on the 29-member CIRM board. At least 12 members of the board have positions at institutions that stand to benefit from the recruitment plan. In response to a query, James Harrison, outside counsel to CIRM, said all will be allowed to vote this week on the proposal. However, they will not be able to vote next year on specific recruitment grants if their institution applies for a recruitment grant. The CIRM recruitment packages could run to $4.5 million for six years for perhaps eight scientists, according an example provided by CIRM, but could be less or more. That does not include contributions from the recruiting institutions themselves. Among other things, CIRM would provide up to $186,000 a year for salaries, $1 million for lab renovations and equipment (with an equal amount from the institutions) and $300,000 annually for lab operations, not including indirect costs. To your average Californian, the amounts might seem quite generous. But according to one well-informed observer, they are not excessive although they could be construed as “lavish” for public institutions. To help put the plan in perspective, we queried some folks in the field. “After a brief review, this looks like an excellent plan. The approximately $4 million for a six-year commitment to a good mid-career investigator is appropriate, and will give California institutions with less robust stem cell departments the chance to bring themselves up to a par with other institutions. A few years ago, Clegg recruited Jamie Thompson to the campus as an adjunct professor, putting together a $1 million package for him. One California researcher, however, said anonymously that the size of the CIRM proposal seems to go beyond the current packages being offered or in place. The scientist also expressed concern about fairness towards researchers already in California. CIRM said the program is modeled after the “early career” awards from the Howard Hughes Medical Institute. The Hughes program is monetarily more modest, sprinkling only $4 million among 11 researchers this year. One commentator said that the CIRM packages could be aimed at recruiting recipients of Hughes awards or other programs that remove their grants when the recipient leaves the original institution. In terms of specific individuals, stem cell scuttlebutt has it that UC Berkeley is looking for a star and needs financial assistance because of the California state financial crisis. The names of Kevin Eggan and Amy Wagers, both of Harvard, have been mentioned in that regard. Eaggan has also popped up as a possibility at UC San Francisco as well. Eggan serves on the CIRM standards group. Wagers is on the CIRM grant review group. While the program helps academia, biotech businesses will be frozen out . Only academic and research institutions and medical centers will be allowed to nominate candidates. No reason was given by CIRM. The proposal seems certain to have something of inflationary impact on the field and to trigger bidding wars as rival institutions compete. It could also stimulate upward financial pressure from scientists who might not be considered by institutions as meeting the CIRM criteria of being “highly likely to become world leaders in their fields.” They are naturally going to look at the deals and ask for more for themselves. The California stem cell agency, which constantly stews about recruiting and keeping enough top notch scientists to review its grant applications, is now proposing to pay them $750 a day, which could total as much as $10,000 per reviewer for each grant round. If the compensation reaches that level, it would be a 500 percent increase in the flat $2,000 that was previously provided. The pay hike comes before the CIRM board later this week. In a memo, the CIRM staff said it was needed in order for the agency to be “competitive” in securing reviewers, who are usually well-known and respected scientists. CIRM offered no figures for the overall estimated cost of the increase in what it calls "honorarium." But at $750-a-day, which amounts to $195,000 if it were applied on annual basis, the amount is pay – not honorarium. We based our cost estimates on information provided in 2007 by Richard Murphy, then interim president of CIRM. 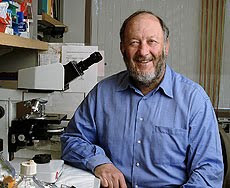 Murphy also had served as head of the Salk Institute and as a member of CIRM board. Murphy told the California Stem Cell Report that when he did grant reviews it took him one to two weeks to review the grants and write them up, including meeting time and travel. Based on that, the proposed pay for reviewers – which covers days of service, not just actual meetings -- could run from $3,750 to $10,000 per grant ground for each reviewer. Of course, the amount depends on how fast a reviewer works and could be less or more. The number of grant reviewers actually used varies, depending on the need for specialists. However, 13 sit as regular members of the grant review group and many, many more as alternates or ad hoc members. Murphy spoke to us at a CIRM board meeting during which the compensation was boosted from $500 a day to the flat $2,000. The $500 only applied to meeting days. The compensation does not include travel expenses, which are also reimbursed by CIRM. As CIRM indicated, retaining skilled reviewers appears to be getting tougher. Lifting of the federal ban on hESC grants would certainly would seem to create more demand from the NIH for scientific reviewers who might also be recruited by CIRM. And the stem field generally is much more active than it was in 2005, when CIRM got started, generating more demand for reviewers. All of those reviewers also have their own personal research projects to attend. The need for increased CIRM incentives is also likely linked to the absence of a chief scientific officer (CSO) at CIRM. One of the “the most important and least appreciated aspects of the CSO's role has been to personally beg, harangue and plead” with other scientists to serve as reviewers, as one person told us. The post is now vacant after the resignation of Marie Csete earlier this year. Csete had served as CIRM reviewer and was well-respected and well-known in her field, giving her the heft to bring in reviewers. It is likely to be some months before her post is filled. The latest addition to the board that controls California's $3 billion stem cell agency is an electrical engineer and a physician. He was once ranked as the highest paid university president in the United States (Johns Hopkins, 2007, $1.49 million). And in pinch he could fly you – as a pilot – to the headquarters of Novartis in Basel, Switzerland, where he sits on the board of directors of that $53 billion pharmaceutical enterprise. 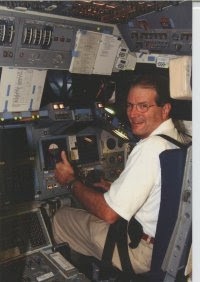 William R. Brody (see photo) is the man who is coming aboard at CIRM. 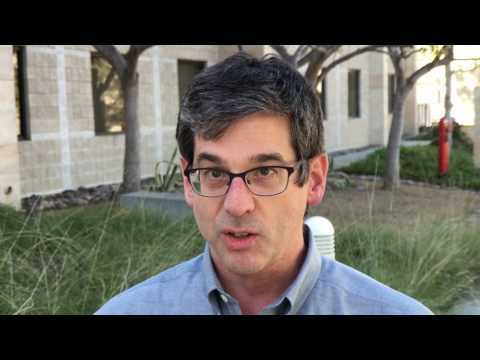 Last fall he took over as head of the Salk Institute in La Jolla, Ca. And last week, California Lt. Gov. John Garamendi named him to replace Martha Chandler, the executive vice president at Salk, on the CIRM board. Chandler presumably resigned in favor of her boss. In a news release on Friday, CIRM quoted Garamendi as saying that Brody is one of the nation's leading thinkers in biomedical engineering and healthcare policy. CIRM said he has authored more than 100 medical journal articles and co-founded three medical device companies. Brody has spoken out and written on subjects of wider interest than those in scientific journals. In 2005, he deplored “the hodgepodge of local legislation, control and restriction (that) does not recognize the fundamentally porous nature of modern research science.” And he raised the specter of a human embryonic stem cell scientist being arrested in an unfriendly state during a layover there. He had this to say on another occasion. The July issue of the Salk Institute's house organ carried a profile on its new CEO in which he said, “The best institutions have to have a ruthless commitment to excellence." That effort includes, he said, “assembling the money for hefty research start-up packages for new faculty.” That could mean a vote – depending on his view of conflicts of interest – for the $40 million research recruitment plan being offered up later this week at the CIRM board meeting. The Salk profile also has other interesting tidbits, but does not mention that Brody holds ratings as an airline transport pilot and flight instructor, which in theory could make it possible for him to wing his own way to Basel. Nature Reports Stem Cells this week carried an interview with the son of some fur traders and junk dealers on the subject of stem cells. Among other things, he said most scientists don't know what medicine is and then took on President Obama concerning the new NIH rules on stem cell research. The comments came from Irv Weissman of Stanford in a Q&A with Monya Baker, editor of Nature Reports Stem Cells. The interview keyed on his role as the new president of the International Society for Stem Cell Research. Here is the section on scientists and medicine. Baker: "Why is it so hard to move science into medicine?" Weissman: "First, most scientists don't know what medicine is. They don't know what whole-body physiology or pathology [is]. So they tend to be, at least at the beginning, unrealistic in their expectations. Second, there are not many people trained to do clinical trials. "And you have to realize that things don't make it into clinical, commercial therapies without a lot of money." He spoke about overcoming nontechnical barriers in the stem cell field. “(G)going from labs to commercial and clinical products, we need to understand how it could be a commercially viable business. Stem cells, unlike drugs or proteins, self-renew and differentiate in a fashion regulated by the body; they regenerate systems for life from a single therapy. If you're going to deliver stem cells for lifetime therapy, the cost of goods and reasonable profit has to be priced with the knowledge it replaces daily therapies like insulin or blood transfusions. “I was born and brought up in Great Falls, Montana. My father and grandfather were fur traders and junk dealers. I was about to be the first in those generations to get an education. When I was ten years old I read a book called Microbe Hunters, which was about the lives of people like Robert Koch and Louis Pasteur. It was incredibly exciting to me. “I really looked for a way to do research after that. I should say I was never a straight A student. When I was about 16, I met Ernst Eichwald at the local hospital. Ernst was German, his father was Jewish. “During the beginnings of WWII Ernst belonged to a student group against the Nazis; somebody in his group was arrested, and without going home he crossed the border. He came to Harvard, he was on faculty there; he came to Utah, was on faculty there for awhile. He got sick of academic politics and decided to run the pathology service at the Montana Deaconess Hospital. Very early he handed me a paper [George Snell's paper on histocompatibility genes] as if I could read it, and I told him that I didn't understand the first word! He spent a whole Saturday with me, and we covered just that one paper. The California stem cell agency has done a fine job this past week in posting background material for its two-day meeting that begins on Wednesday in San Francisco. We have been critical of the agency for its past dilatory practices in providing material in time for interested parties to read it and formulate thoughtful responses or suggestions in advance of the board meeting. However, the agenda for the upcoming meeting is chock-a-block with information for all to chew on. Indeed, nearly all the major items have some sort of information linked to them. Matters with fresh material include reviewer decisions on applications for $30 million in basic biology grants, a report on outside contracts, proposals for increases in the pay of scientific reviewers and $70 million in new grant programs, a status report on CIRM's massive lab construction round and interim IP rules for its new, $500 million biotech lending program. Other items have older material linked to the agenda items, but at least it's a start. Still missing is fresh material on the ambitious lending effort and recommendations on which firms should run the program. Speaking of timely information from CIRM, the agency this week posted its agenda for a major meeting Sept. 17-18 dealing with research standards and rules. CIRM's Scientific and Medical Accountability Standards Working Group will gather in San Francisco to review matters involving both the federal government (NIH and FDA) along with New York state's plan to pay for human eggs for stem cell research. Also on tap are California matters, including CIRM's MES regulations. Members of the public can rarely participate in meetings of the board of the $3 billion California stem cell agency unless they are physically present at the session, but next week is one of those occasions. If you are in the Los Angeles area, you will be able to sit in and make comments from the City of Hope in Duarte. There will be a telephonic connection at that complex where CIRM director Michael Friedman will be located. He is CEO of the City of Hope. The board of the California stem cell agency meets one week from today to give away $30 million for research into basic biology and to authorize a new, $30 million immunology grant round, not to mention the creation of a $40 million effort to lure top scientists to the Golden State. The 29-member board is also likely to implement the first stage of its ambitious and risky $500 million lending program for the biotech industry and approve delegated underwriters to run the effort. Several other matters to be considered also now have background material posted on the agenda, a substantial improvement from the days when such information was very late in coming. The news out of this meeting – if any mainstream news outlets choose to cover it – is likely to be the $30 million given away for basic biology research. That program calls for about 20 grants over a three-year period. Some of the grants are likely to involve Japanese partners, although California funds are to be spent only in this state. Scientists and others who want to help shape upcoming grant rounds should take special note of the proposed programs for research leadership awards and for stem cell transplantation immunology grants. The usual procedure is for the board to approve the “concept” for the awards. Then the staff prepares the RFA and posts it. So next week will be the last chance to present to the CIRM board comments on the proposals and any suggestions for changes. No exact dollar amount was placed on the effort but CIRM presented an example in which eight scientists could possibly see $40 million or so. That would include up to $1 million for lab renovations and equipment, to be matched by the recruiting institution. The six-year program would also provide up to $186,000 per scientist for annual salaries plus benefits and $300,000 a year for lab operations. Nominations must come from a California university, research institution or medical center. The program is certain to find strong support from the 12 heads of research institutions, medical school deans, etc., on the CIRM board. The other proposed grant round provides $30 million for up to 20, three-year grants for research into stem cell transplantation immunology. Japan and the state of Victoria in Australia are funding partners, meaning that teams of researchers from those countries will be competing. Given the discussion of the two new grant rounds and the strategic plan, persons interested in the future direction of CIRM and future funding initiatives should be on the scene or at least check in on the online audiocast. The audiocast, however, only allows you to hear the proceedings – not take part. A internationally known stem cell researcher who serves as a grant reviewer for the $3 billion California stem cell agency is at the heart of an inquiry at the University of Minnesota concerning the integrity of some of its stem cell research. The matter involves Catherine Verfaillie (pictured) and New Scientist magazine, which raised concerns about the research. Verfaille is currently listed on the CIRM Web site as one of the scientists who make de facto decisions on research grant applications for hundreds of millions of dollars from the California Institute of Regenerative Medicine. We queried CIRM two days ago about Verfaillie but the agency has not responded. “Other stem cell biologists are disturbed that so many problems have been found in papers from a single institution. 'It's pretty discouraging," says Arnold Kriegstein of the University of California, San Francisco. Given the pressure on scientists in such competitive fields, he wonders what might emerge at other research centres if their publications were subjected to similarly close scrutiny. "'It raises serious issues about how widespread this could be,' he says." For more on creation of the new VP of research and development at CIRM, see a posting by Monya Baker on The Niche, Nature magazine's stem cell blog. In a related development, seven executive search firms have responded to CIRM's RFP to help in finding a Csete replacement. In response to a question from the California Stem Cell Report, Don Gibbons, chief communications officer, said the firms are: Korn/Ferry International, McCormack & Farrow, Levin and Company, Caliber Associates, Russell Reynolds Associates, Spencer Stuart and The A-list. CIRM paid Spencer Stuart about $500,000 previously for two presidential searches. In neither case did Spencer Stuart produce a candidate who would accept the job. SACRAMENTO – The California stem cell agency appears to be on track to reject nearly all of the recommendations for improvements in its operations made by the state's good government agency, the Little Hoover Commission. Meeting yesterday in a teleconference session, the directors' Legislative Subcommittee concluded its discussion of the Hoover report with a consensus “nyet” to the commission. The panel earlier last month rejected the most sweeping recommendations, including reducing the size of the board of directors from 29 to 15 and trimming the powers of its chairman. The action was taken based on an opinion from the CIRM's outside counsel that the legislature could not make those changes. Yesterday, the subcommittee went along (no vote was taken) with the CIRM staff response, which can be found here and here. The panel did agree to poll its scientific grant reviewers on whether they would resign if their statements of economic interests were made public. It also agreed to post vote tallies in the future by the board of directors on grant applications. Art Torres, chairman of the subcommittee and a former state legislator, will prepare a report on the group's discussion and present it to the full board at its meeting Aug. 19-20 for ratification. The Legislative Subcommittee, on a 6-3 vote, also expressed support for a public option in the national health care reform legislation. Director Jeff Sheehy, a UC San Francisco communications manager and AIDs activist, and Torres backed the effort. Sheehy said access to health care and future stem cell therapies is critical to CIRM's mission. Duane Roth, co-vice chairman of the board of directors, opposed the endorsement, citing problems elsewhere in the world with government-run health care plans. The endorsement will come before the full board at its meeting later this month. Also meeting yesterday was the full CIRM board, again in a teleconference session, to discuss a proposal by President Alan Trounson connected to finding a replacement for Chief Scientific Officer Marie Csete, who has resigned. Trounson plans to create a new vice president for research and development to enhance CIRM's engagement with industry. The title and additional responsibilities could also make it more appealing to possible job candidates. Trounson's proposal does not require board approval but he is obviously taking care to ensure support from the CIRM board. The plan hit a bump when Claire Pomeroy, dean of the UC Davis School of Medicine, raised questions about reporting ambiguities in Trounson's organizational chart, which seemed to conflict with the reporting lines in the job description dealing with basic science research. Sherry Lansing, chairperson of the Governance Subcommittee and former head of a Hollywood film studio, indicated that the plan seemed to justify the creation of a third VP. In that case, the executive director of scientific activities would be designated as a vice president. In other action, the board added Gerald Levey, dean of the UCLA School of Medicine, and Ted Love, a Bay Area biomedical businessman, to the newly created Evaluation Subcommittee. Levey was then elected chairman of the committee and Francisco Prieto, a Sacramento physician, vice chairman. The full list of committee members can be found here, minus the Levey and Love additions. The battle to protect the biotech industry from generic drug makers, a war in which CIRM is a dogface, is going swimmingly, according to an article this week by The Associated Press. CIRM also has hired a Washington lobbying firm, the Podesta Group, an unusual step for a state agency, paying it $240,000 for 10 months work. But Podesta's assignments from CIRM seem to involve more than patent protection. “Representing biotech companies, the Biotechnology Industry Organization has spent $3.7 million lobbying so far this year. Their ally, (the Pharmaceutical Research and Manufacturers of America), has spent $13.1 million — the second most of any group that lobbies in Washington. “All that money has let the biotech industry launch a lobbying blitz, with targets including lawmakers from biotech-heavy states like California, Maryland, Massachusetts, New Jersey and North Carolina. Good news is surfacing in the biotech industry. One industry watcher on Monday reported that the sector was “hot” during July, but warned that challenges remain including the fate of patent protection for biotech drugs – a matter also of concern to the California stem cell agency. “We don’t yet believe biotech is fully back on track as many companies are still struggling to find the necessary funding to maintain their operations, almost half of US public biotechs have market caps below $100 million and we are seeing companies still consistently turning off their lights for the last time. It is important to remind ourselves that the biotech industry is undergoing a major transition, a process that will likely continue for many months yet. CIRM, a taxpayer-funded organization, is lobbying Congress on the biosimilar patent protection legislation. Last month it sent a letter to to U.S. Sen. Diane Feinstein, D-California, backing lengthy, 12 to 14 year patent protection periods, also an industry-supported position. A bureaucratic yawner – at least that seems to be the appearance of one of the matters before the directors of the $3 billion California stem cell agency on Thursday. But appearances are sometimes deceptive. And in this case, the issue is freighted with baggage related to the performance of CIRM Chairman Robert Klein and President Alan Trounson. And it goes to touchy matters involving CIRM directors and their oversight of CIRM. The matter comes before the board as it is about to establish – for the first time in nearly five years – a formal evaluation procedure for its chairman and president. The procedure will also include the vice chairmen of the board of directors. One could make something of a case that formal evaluations were not necessarily called for earlier because until recently Klein had declined a salary. The former vice chairman also refused pay. Now, however, one of the co-vice chairmen and Klein both receive half-time salaries, respectively $75,000 and $150,000. In late April, CIRM directors created their Evaluation Subcommittee. But they did not settle upon the at-large members or the chair or vice chair of the panel. The subject triggered a contentious debate during which some directors expressed concerns about public appearances and conflicts of interests because the CIRM vice chairmen and chairman would be serving on the Evaluation Subcommittee, even though they would recused when their performances came up. Nonetheless the directors approved the structure of the committee, which was presented by Sherry Lansing, chair of the Governance Committee and a former head of a Hollywood film studio. She said Claire Pomeroy, dean of the UC Davis medical school and co-chair of the governance panel, took the lead in coming up with the structure. Lansing indicated that other possibilities were rejected because they appeared to lack support. Director Jeff Sheehy, a communications manager with UC San Francisco, offered a motion that would have made Lansing and Pomeroy the co-chairs of the Evaluation Subcommittee in addition to their roles on the governance panel. He said they were most familiar with the evaluation process. But his effort failed after it was opposed by Klein. Initially Klein said the Evaluation Subcommittee should decide who should be the chair, although Klein normally names the chairs of subcommittees. Later, he indicated he would be willing to have the full board select the head of the evaluation panel, setting the stage for this week's meeting. Tony Podesta, the “legendary Democratic fundraiser” who is now CIRM's go-to guy in Washington, made the news during the last few days for roles in connection with the public option in the national health care legislation and aiding Sallie Mae, the nation's largest provider of student loans. Podesta, who is under a $240,000, 10-month lobbying contract with the California state agency, was mentioned on the nationally broadcast PBS program, Bill Moyer's Journal, on Friday. The program was a scathing look at lobbying efforts by the health insurance industry against the public option in national health care reform legislation. On Thursday, CIRM directors will be asked to endorse the public option. The guest on the Moyers' program was Wendell Potter, a former health insurance executive who is now an advocate for health care reform. "I mean, they (former Congressional staffers) left the government. They go to work for the industry. Now they're back with an insider status. They get an access, right?" “Who used to be the White House chief of staff." Patient advocate Don Reed has pulled together a lengthy piece on a proposed overhaul of the California stem cell agency, concluding that that the $3 billion enterprise does not need to be fixed. Reed wrote yesterday about the recommendations of the Little Hoover Commission, the state's good government agency, and a meeting earlier this month of the CIRM directors' Legislative Subcommittee. The heart of Reed's article deals with whether a vote of the people is required on five Hoover recommendations, including trimming the size of the board from 29 to 15 and reducing the powers of the chairman, who has responsibilities that overlap with the president. Both the size of the board and the dual executive situation have created difficulties for CIRM. Proposition 71, which created the agency nearly five years ago, says the legislature can make changes in CIRM only if they “further” the purposes of the act. Otherwise, a vote of the people is needed to alter the ballot initiative. That's where the issue hangs. What does further mean? CIRM's lawyers, in an opinion sought by Chairman Robert Klein, have opined that five of the Hoover recommendations require a vote of the people. The Hoover Commission says it is an open question. And as Reed points out in his piece, we told the CIRM Legislative Subcommittee that other, equally capable attorneys could find that the recommendations in question could be legally enacted by state lawmakers.